No Silent Night - Doug Grad Literary Agency, Inc.
Doug Grad Literary Agency, Inc.
On a cold Christmas in Belgium, during the famous Battle of the Bulge, American soldiers stand guard on the outskirts of the town of Bastogne. The might of Adolf Hitler’s armies have completely surrounded the town. The Germans plan to capture the town and its defenders with a massive attack. At the dark moment when Christmas Eve becomes Christmas Day—when the outnumbered American soldiers are huddled in stone churches for Christmas services, or shivering in their snow-filled foxholes on the front lines, the Germans attack with fresh reinforcements of tanks and men. The sector they have targeted is defended by a ragged crew of cold and hungry paratroopers and glidermen from the famed 101st Airborne. Fighting side-by-side with the Screaming Eagles are the valiant tank destroyer crews, engineers and artillerymen. The battle for Bastogne will reach a climax that night--a night that will shatter any sense of peace on earth for the men on both sides. For the freezing American and German soldiers caught up in this desperate clash during the last Christmas of World War II, there will be no silent night. In a stunning 10 minutes the battle is decided, and against all odds, Allied forces stubbornly hold the town of Bastogne. The victory is a huge morale boost for Americans at home and throughout Europe. American victory at Bastogne signals the death-knell for Hitler’s Third Reich. After this battle, the Nazis will never go on the offensive again. The story of the siege of Bastogne is one of the greatest American stories ever told. The heroic defense of Bastogne has earned its place alongside such epic tales as Valley Forge or the Alamo. Stephen Ambrose wrote about the siege of Bastogne in his New York Times bestseller, Band of Brothers. Major Richard Winters, a member of Easy Company, also wrote about Bastogne in his book, Beyond Band of Brothers, which sold nearly 100,000 copies. In the midst of the largest battle ever fought by the United States Army, the story of Bastogne has become the stuff of legend. 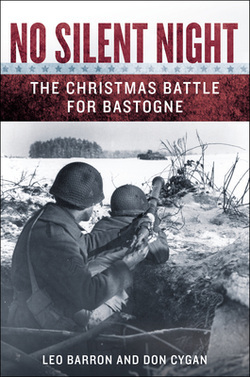 While several books have been written about the Siege of Bastogne, the authors of No Silent Night have assembled an unprecedented amount of research from never-before-seen archival documents and veterans’ interviews to create a work that is both historically accurate and is also a page-turning human drama. They interviewed veterans from the 705th Tank Destroyer Battalion, which was a unit that played as large a role in the defense of Bastogne as the 101st Airborne. Until now, their role in this battle has never been told. They tracked down and interviewed more than a dozen veterans of the famous 101st Airborne Division--the ‘Screaming Eagles’—who participated in that fateful Christmas battle. For the first time, the after-action report of the German colonel who led the decisive operation during the Christmas battle has been translated into English. They have unearthed and translated several Wehrmacht operational orders that challenge the current thinking on the overall siege of Bastogne and were even able to locate and interview a Wehrmacht non-commissioned officer who participated in the battle, which will provide a first-ever glimpse into the psyche of the German soldiers who faced off against the GIs during the battle of Bastogne. This is something that few, if any, World War II historians have touched. They also delved into the air war over Bastogne. They have pored over and parsed the interrogation reports of Luftwaffe pilots and letters from American pilots who flew over Bastogne during those fateful days. And finally, after nearly five years of research, they have amassed and pieced together all the journals, radio logs, and combat interviews from units on both sides that participated in the battle. Leo Barron has significant name recognition within the military intelligence community; he teaches a significant portion of the military intelligence officers in the U.S. Army. He has directly instructed over 350 captains over the past three years. Barron also has a growing name recognition among military historians, which is how he and Cygan met. Two books on the 101st Airborne in Iraq, Black Hearts and Along the Tigris, refer extensively to Barron. He holds undergraduate and graduate degrees in history, and has seen several tours of active duty in the military. Unlike some popular writers, Barron is both a trained historian and a veteran, who knows what it is like to feel the pace of battle and to see people die. His articles about Bastogne and other WWII-related military topics have appeared in Infantry magazine, Military Intelligence Professional Bulletin, WWII magazine, and WWII History magazine. 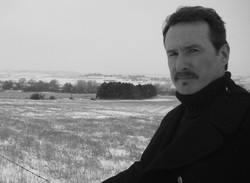 Don Cygan is a former daily newspaper reporter and free-lance writer. He currently works as a history teacher in Douglas County, Colorado. He has studied military history for decades. During Operation Desert Storm he was a journalist for the U.S. Army, writing articles for various publications and providing public relations for the Department of Defense. Part of this work included educating the public on military tactics and equipment. For the past four years Cygan has been interviewing WWII veterans and facilitating a community college class on the Battle of the Bulge. Cygan's education is in journalism/mass communications, political science and history. He has a Bachelor's degree from the University of Northern Colorado and a Master's degree from Denver University.